Sara Lang Strategies is your one stop shop for audits, trainings, social media strategy, and more. Find out today how we can help you make the most of your social media presence to achieve your goals. 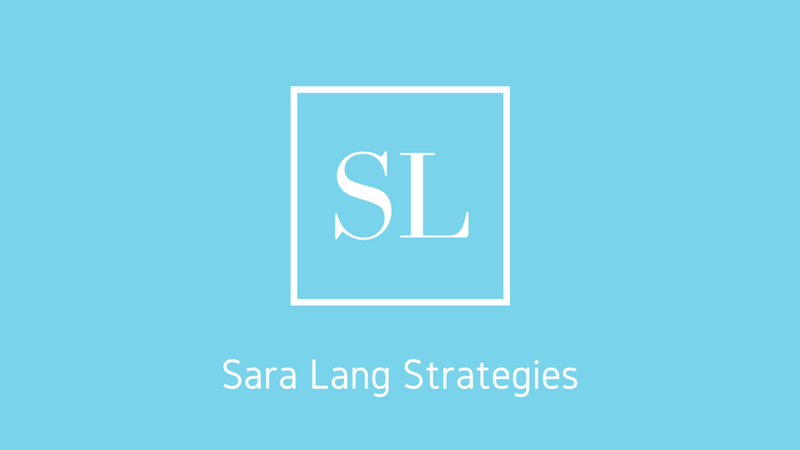 Sara Lang Strategies is a boutique social media firm dedicated to helping you tell your story online in ways that make our country a better place. With over a decade of experience in social media marketing, digital strategy, and comprehensive social media training and coaching, Sara is here to help you find what digital strategy is right for you, and execute that plan. We offer a variety of project and retainer based services to meet your needs. We are based in DC and have access to all that the nation's capital has to offer, but are also happy to travel as needed. Sara Lang Strategies is a one-woman shop lead by Sara Langhinrichs, a decade-long social media marketer and digital strategist with experience working with major brands, including AARP, Barack Obama, and the Center for American Progress. Sara Lang is a social media consultant and strategist based in DC.